The chart below is based off of my personal experience and average construction prices. 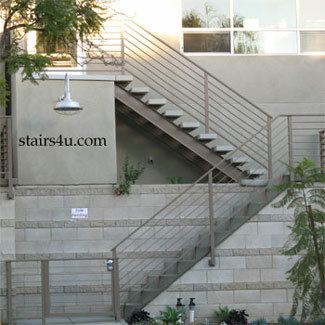 Prices may vary, depending upon materials, stair design and additional costs. Poor - This Usually Relates to a Poor Design with Uncomfortable Steps and Hand Rails That Aren't Easily Accessible. Moderate - A Good Design, but Could Require Users to Pay Attention, While Using Stairway. Excellent - An Excellent Design with Handrails or Walls Located with in Reach, While Walking up and down the Entire Stairway. Floor Plan - Looking at the stairs from the top down.